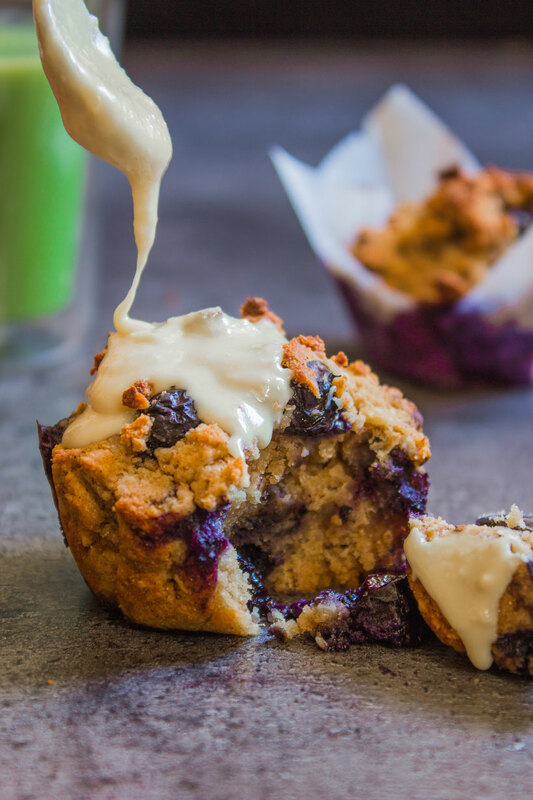 Blueberry Muffins - simply & healthy vegan recipes that taste amazing! I have also shared this recipe on my new podcast, you can listen to it while making. I added some almond butter to my muffins after baking them. And if you are a matcha fan like me, eat them with a cup of matcha latte! 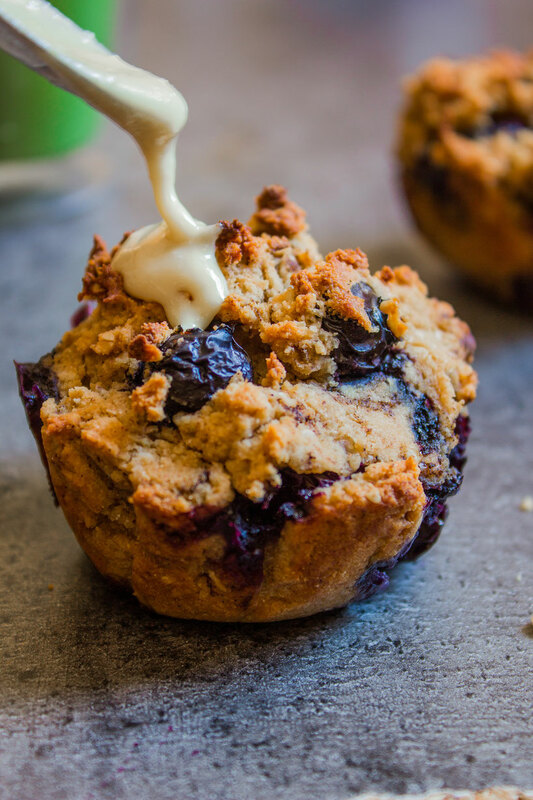 Gluten free muffins - a perfect healthy treat! Mix the wet ingredients in a separate bowl, before adding it to the dry mixture. Combine the wet and dry ingredients with a spoon or fork. 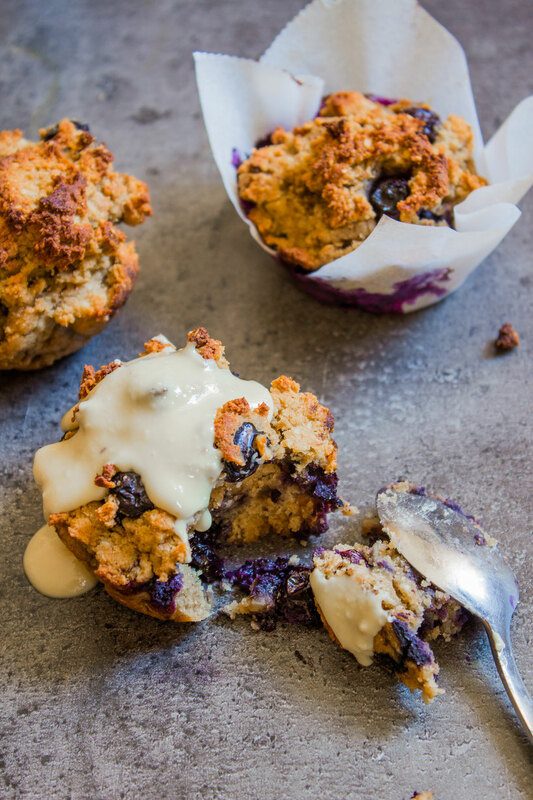 Add the blueberries and carefully combine them with the batter without mashing them. 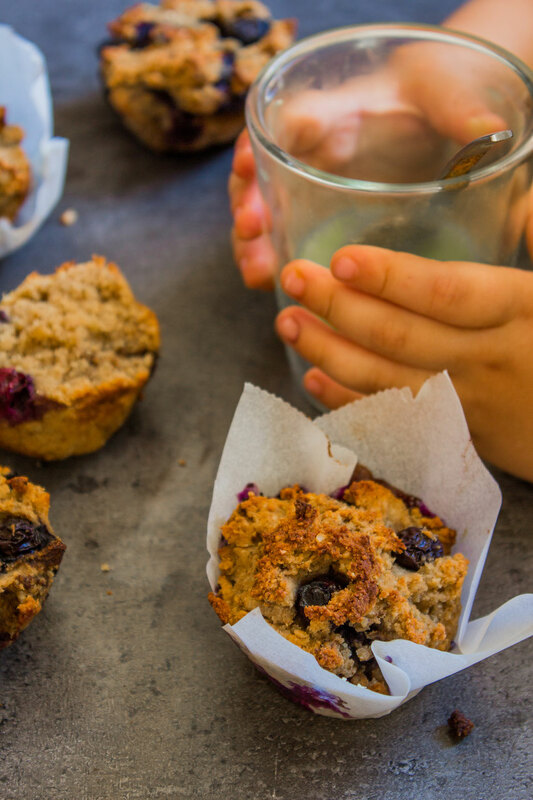 Add one 1 tbsp for each muffin in muffin tins. 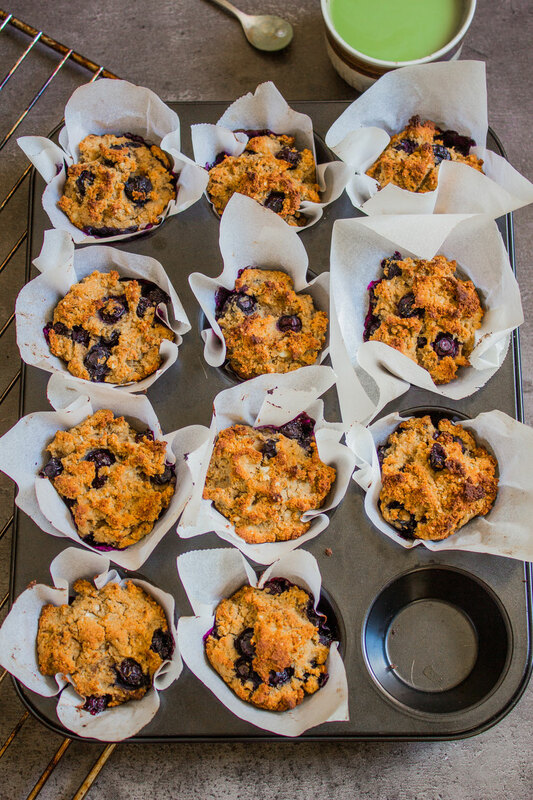 Let the muffins cool down 10 minutes before enjoying them!! Do you have any question about my recipe? Leave a comment below!